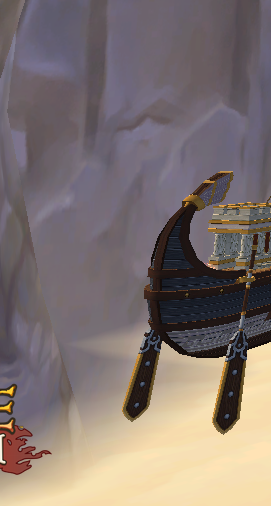 Yesterday One-Eyed Jack sent packages around the Pirate101 spiral to the worldly fan sites. Within each package was a piece, well 2 pieces, to a puzzle. It’s VERY mysterious indeed. Jack gave a hint that these 14 puzzle pieces are leaks of new content and are the first glimpses of this new content outside the KingsIsle Royal Palace! We’re shared one piece of the puzzle yesterday, and we promised to share the 2nd piece today. It’s a very intriguing boat. Could it be a new ship from Krockotopia? Visit all the Fan Site realms and put the pieces together. You may discover the puzzle message before anyone else does.